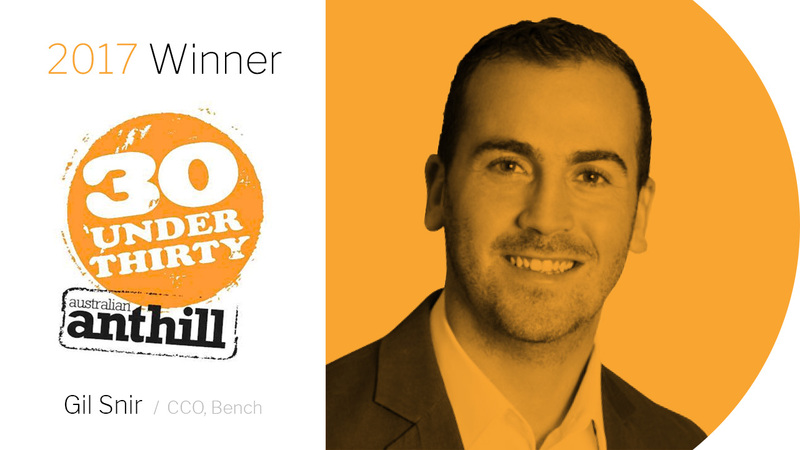 Gil Snir, CCO of Bench, was recognised this month as one of a handful of young entrepreneurs in Anthill’s 2017 ‘30under30’ awards. This year marks nearly ten years since the Anthill Magazine first started shining the limelight on Australia’s young, tech-savvy business luminaries. This year Bench have undergone a complete rebrand to reflect their focus on leading as a global performance marketing technology platform. In less than five years, Bench have increased headcount to 40+ full time staff in their Sydney headquarters and built an R&D team of 10 based out of Russia. The company has already managed to win the Deloitte Tech Fast50 awards and continue to invest into building a world-class product.